For the promotion of Bhutanese handicrafts beyond the horizon of Bhutan’s border, the handicrafts of Bhutan have to be certified with the seal of origin giving the products credibility and authenticity. 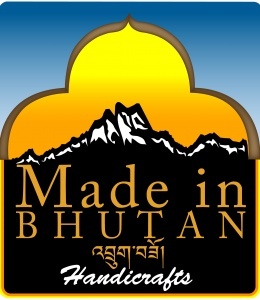 In this regard, Department of Trade under ministry of Economic Affairs has developed the seal of origin “Made in Bhutan” and Agency for Promotion of Indigenous Crafts has put the seal in handicraft system and used the logo in the development and promotion of the craft sector since its launch in 2012. The seal of origin was developed in order to authenticate the products there are fully produced in Bhutan or substantially transformed products with minimum value addition in Bhutan. The seal of origin was introduced to improve market foothold and marketing capacity ultimately contribute towards building Brand Bhutan. The products bearing the seal of origin will stand out from the foreign products. The seal of origin is open to individual craft producers, community groups, cooperatives, private businesses and agencies that produce commercial handicraft products, and are capable of maintaining adequate stock levels to fulfill sales orders. The seal of origin can be applied by Bhutanese national or registered community groups, cooperatives or a business license holder. The seal of origin provides benchmark for originality of the products and only handicraft products are eligible. The Seal of Origin for the handicrafts sector have been issued to 103 handicraft business license holders and artisans. The details about the Seal in the guidelines, criteria, Letter of Undertaking (LoU) and application forms to avail the ‘Seal of Origin’ can be accessed from seal-of-origin Forms or obtained from APIC office.